Write down your ultimate life goals. Before you even consider planning, you need to have an idea of what the bigger picture is for your future. What is your ideal lifestyle? Your dream job? Your dream grades? Make sure you are aware of what you want. Being aware of what you want is the first step to achieving your goals. You cannot be simply going about your life, ticking off tasks with no final destination, or even milestones on the way there. This might be something such as having £1000 saved up, or working your way up in your job, or getting onto the university course you love! Break down your plan into time-frames. Personally, I find it much easier to write my goals out as to-do's for my smaller time frame goals. This way it feels a little more like it is just a part of my daily tasks and routine. Incorporate your goals into your daily routine, so that you are contributing towards it every day. Your daily to-do's should be a small step towards the bigger yearly goals. Keep a reminder of your monthly goals at your work space. I make around 6-10 small monthly goals to try and achieve over the month. Some of these goals may be smaller scale, others on a larger scale. I write them out on a small flashcard and stick them to the shelving on my desk so that whenever I sit at my desk, I am forced to read them. It is all well and good telling yourself what your goals are, but if you are not reminded of them consistently then you are bound to forget. I have learnt from watching lots of manifestation videos that if you tell yourself that something will happen, you will make decisions based around those goals. For me, these goals are semi-achievable - which means that they are achievable, but I have to put in some efforts to achieve those goals. I also make sure they have numbers attached to them if possible, so that I can prove that I have achieved that goal. For example, my savings account goal could be written as 'Put more money into my savings account' but I cannot define what 'more' is so I may end up putting in not as much as I first anticipated. This goal would also be split into putting £50 into my savings every week. This way it is also a to-do list task that I can check off, but I also cannot justify myself for hitting the goal if I only put £100 into my savings. Keep track of your goal progress. Make sure you have a record of your goals for each month, have a review session at the end of each month and evaluate what you could have done better. After setting your first round of goals you can see whether you were realistic or not for the time you set yourself. 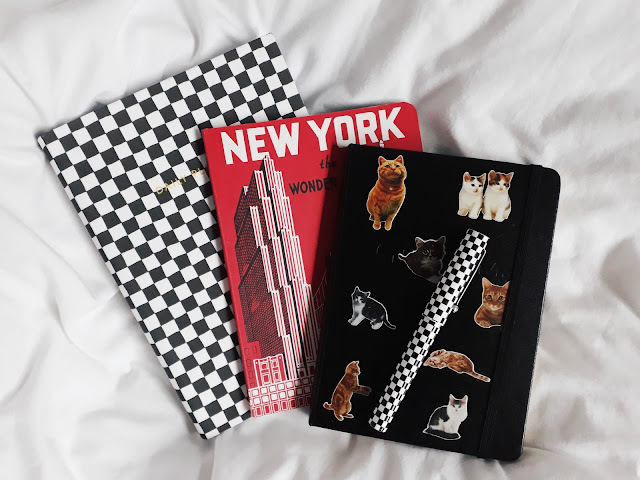 Something that makes organising my goals much more enjoyable for me is having cute notebooks to write them in (as shown in my lil pic at the top.) Keep track of your goals in one notebook to ensure you know exactly where they are written - and be proud when you actually achieve what you wanted. Convince yourself that you are capable of achieving what you want. You cannot achieve something if you convince yourself that you cannot do it. Yes it can be hard to sometimes believe we can do what we want, you may have a few bad days and lose motivation. If your goals aren't inspiring you, they aren't what you desperately desire. If you have always wanted to do something, but never started, start now. Why waste your time thinking about what you want when you can just DO what you want? How do you organise your goals? And what are your current goals for the time-being? 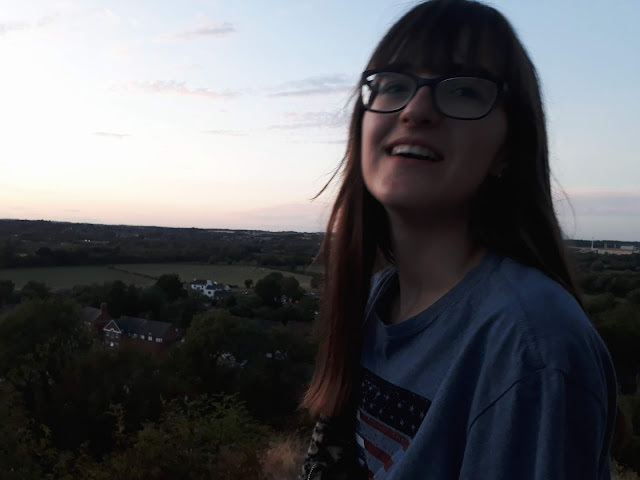 It's been a while since I've written a blog post, so hello again! I've been doing a lot of charity shopping recently, I've always done it here and there to find things for myself but now it has almost become a hobby of mine! Whilst in America, I went to dozens of thrift shops, picked up a few gems there (including some I.AM.GIA trousers for $6 - which I quite happily sold on my Depop for £50!) Whenever I tell people that I found an item of clothing in a charity shop, the usual responses are: "I look and never find anything." "How do you manage to find such good stuff?" "I would never think to look in a charity shop, isn't it just grandma's clothing?" 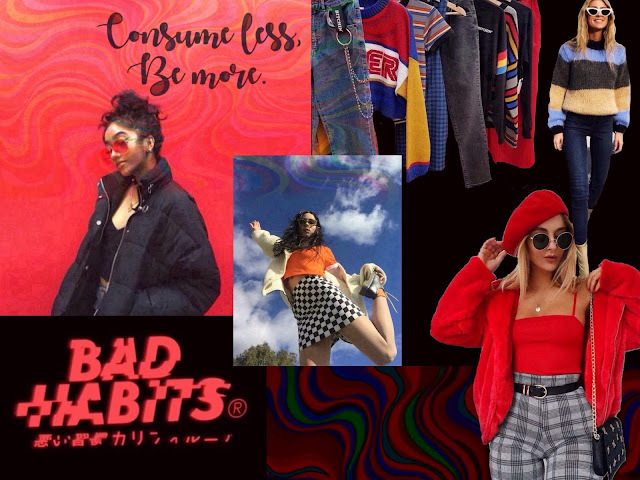 So for all of you clueless shoppers, I'm gonna give you my deepest, darkest charity shopping tips all compressed into one blog post, and maybe you can find some gems too!! Last month I visited New York City for the first time with my family and I'm already hoping to visit again. It is no lie that it is one of the greatest cities in the world and I can officially confirm to you that it is all that the internet and movies make it out to be (with a few exceptions but we'll get into that later.) 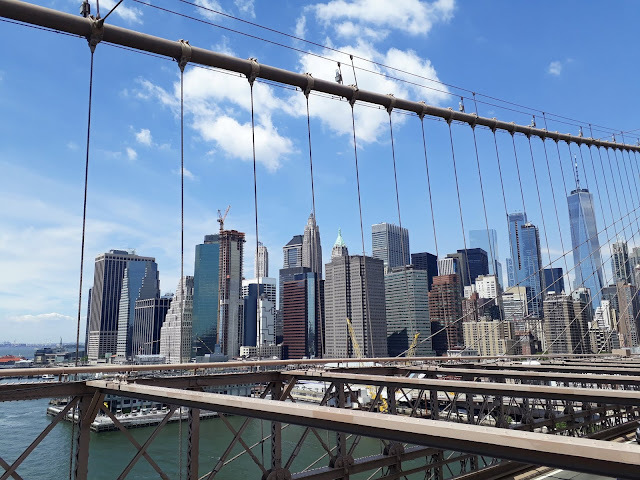 The main reason I'm writing this blog post is to create a small photo diary of my trip (so I don't forget all the important and smaller memories) but it may also be useful if you are planning a trip to New York and want to find out some interesting and new places to visit! 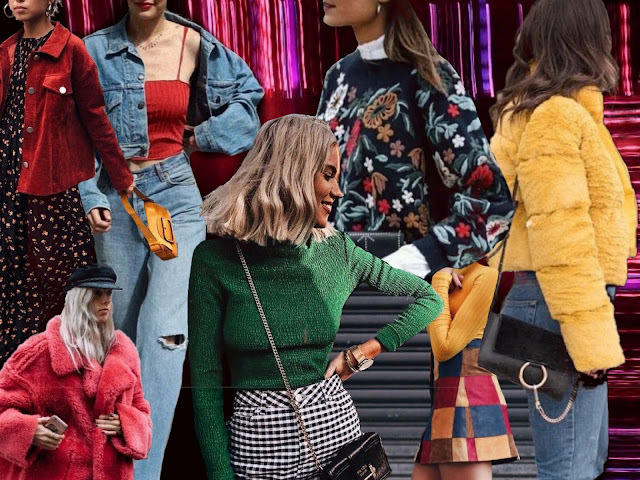 Recently I've been hooked onto the fast-fashion issue again, after watching Stacey Dooley's documentary 'Fashion's Dirty Secrets' (which I would 100% recommend to you!) Documentaries like that push me into the mindset of being more aware of my personal impact on the planet. For me, the one thing I believe I could do to prevent my impact on the fashion industry (arguably the 2nd most polluting on the planet to oil/coal) is to stop buying clothes. Is there a certain way you can go about your life? A specific method to success? 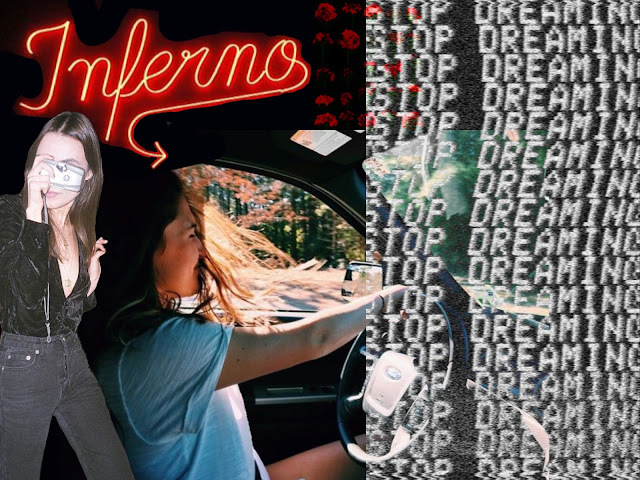 A formula for fame? Absolutely not. If there was such a thing, there wouldn't be such thing as being famous. Success would be a normality and nobody would feel validation from being more talented than everyone else. The fame feeling isn't just "wow! Everybody knows my name." The fame feeling is that of "wow! I worked hard and I am receiving the validation from that through fame!" Two months ago I challenged myself to put a halt to my shopping habits and not buy clothes for as long as possible. It has been an interesting experience so far; I have learned a lot about self control. Many of you may say that this challenge isn't really a challenge at all - surely you just don't buy things. However, this statement is much harder to obey when we are surrounded by shops and brands constantly pushing for us to consume and buy the latest products, keeping up with the Jones's (ironically)or simply maintaining a trendy wardrobe. Whenever I have talked about my challenge to others, one of the first things they say is: "but you have so many clothes that you don't even need to buy anymore." Which to an extent is extremely true, therefore this challenge hasn't been a struggle. I technically have enough clothes to survive - we all do - but it is whether I could control my desire for new items, and restrict my clothing spending to nothing.